Competent organizations aim to accommodate basic customer needs. Elite, customer-centric organizations go one step further. They are not merely offering support; they are empowering customers to derive the most possible value from every interaction, at every touch point. There's a simple key to delivering this superior experience: understanding customer intent. 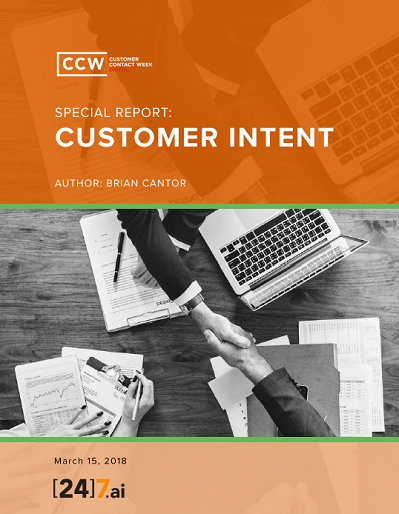 Customer intent looks beyond the superficial (what customers are requesting, where they are requesting it) and focuses on customers’ true goals for the interaction. It is a question of why, not what.